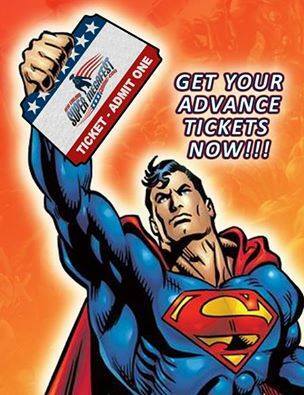 From the 8th to the 10th of April, 2016, I'd highly recommend that you should attend the Super Megafest Comic Con Spring Spectacular, held at the Royal Plaza Trade Convention Center, located at 181 Boston Post Road West, Marlborough, Massachusetts. Tickets are now on sale, and will feature Hollywood Icons, Celebrities, an awesome array of Comic Book Artists and Authors, as well as Science Fiction, Wrestling and Rock & Roll Legends! Covering over 75,000 square feet, the NEW ENGLAND SUPER MEGAFEST SPRING SPECTACULAR comes back to New England this spring, bringing along with it Comics, Movies, Super Heroes, Music, Wrestling, and Intergalactic Fun, all within New England’s premiere Celebrity Pop Culture Fan Fest! 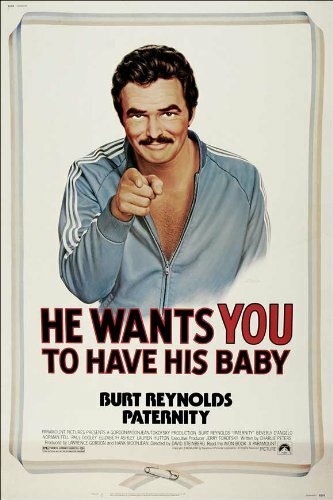 BURT REYNOLDS - Guest of Honor appearing Saturday only! JAMES MARSTERS - Spike from Buffy / Angel, Smallville, Torchwood, Caprica and much more! PETER MAYHEW - Chewbacca from Star Wars! KEVIN SORBO - Star of Hercules and Andromeda! RIC FLAIR - (Saturday & Sunday) Legendary Wrestling Super Star! DINA MEYER - Starship Troopers, Saw, and Birds of Prey! CASPER VAN DIEN - Starship Troopers, Tarzan, and Sleepy Hollow! LEE MERIWETHER - Batman's Catwoman and Barnaby Jones! BILLY ZABKA - Karate Kid! BUTCH PATRICK - Also known as Eddie Munster! PETE BEST - Original drummer for The Beatles! JOEY MOLLAND - Of Badfinger rock n' roll fame! HARLEY RACE - (Saturday & Sunday) Legendary wrestler! CYNTHIA ROTHROCK - (Saturday & Sunday) Queen of Martial Arts films! MARK DODSON - Voice actor of Star Wars Force Awakens, Gremlins, and more! MIKE GRELL - Comic artist for Legion of Super Heroes, Green Lantern / Green Arrow, The Warlord, and Jon Sable Freelance! GRAHAM NOLAN - Inkpot Award winning cartoonist best known for Batman in Detective Comics and as the de-signer of Bane! JOE JUSKO - Painted almost every major Marvel character over the last three decades! ALEX SUVIUK - Marvel and DC Comics Artist, including Spider-man, Green Lantern, Superman and more! JACK PURCELL - Artist on JSA, Guardians of the Galaxy, plus Batgirl! JOE ST PIERRE - Comic artist for an amazing array of Super Heroes including Spider-man and the Fantastic Four! MARK MCKENNA - Artist for Marvel and DC Comics, The X Men, Spider Man, Batman, The Justice League and more! The stars will be signing autographs and doing Q & A sessions with fans throughout the day. Professional photos with most celebrities will also be available on site! Plus in addition to this, Marvel and DC writers and artists will give panel discussions and mingle with celebrities and costumed fans! The Super Megafest presents the best exhibitors on the East Coast with one of the largest selections of comics, toys, videos, non-sports cards and memorabilia! Other attractions include an amazing Costume Contest (including a children's category), stunning Movie Cars, mischievous Pirates, and then after hours, enjoy a multitude of shadowcast movie performances and parties, including the COME TOGETHER MUSIC FEST and CosCLUB DANCE PARTY, ensuring the event has something for all ages. For more information log onto www.supermegafest.com and buy your tickets today.